The Barony congregation of the Church of Scotland was in existence for several hundred years in Glasgow, in the neighbourhood of Glasgow Cathedral. When the old church building was deemed to be in a state of terminal disrepair, the congregation and their minister, the Reverend John Marshall Lang, raised funds for a new building. The new Barony Church, located on the opposite side of Cathedral Square, the site of the former Townhead Gas Works, was opened in 1889. Photo taken in McLeod St. ootside the church hall. 16 Oct 2008, (GlescaPal jasdell) Jim Waddell, Huntingdon, Cambridge. 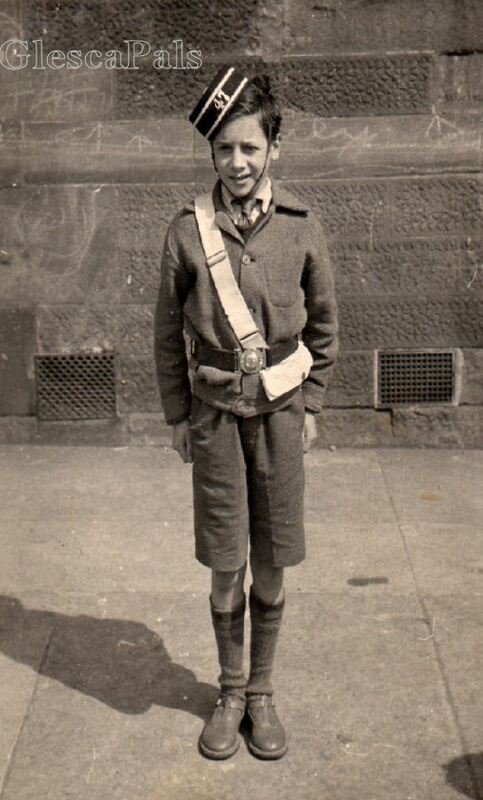 Hi my name is Jim Waddell.I was born at 65 Mollinsburn St. Springburn in 1937. The schools I went to whilst there were, Mollinsburn St Primary, Gourlay St, Colston Rd and Elmvale St. I then moved to 3 Glebe St in the Townhead where I went to Townhead Primary and then on to the City Public. I joined the RAF in 1954 and served three years as a cook. After a spell working in Sheffield I returned to Glasgow (my parents had now moved to 14 Morrin Square) where I became a tram driver until just before they were made redundant. I then got married and moved to Lesmahagow. My marriage didn't last so I went back into the RAF, in 1965, as a Dental Technician. After demob I went to work in Germany, circa 1970, having learned the language. In Germany I was offered a job with NAAFI and I became a shop manager. I returned to England, still with NAAFI in 1983 and lived in Chippenham in Wiltshire, then my wife, who I had met whilst in Germany, and I moved to our present location. Ramsey Forty Foot near Huntingdon Cambridge. I had two children from my first marriage and they both live in Gosport, England. I am now retired. This is a precis of my life, as I would need a book to fill in the details. Thank you all for the welcome to 'GlescaPals' and I hope I will spend some time on a great site.